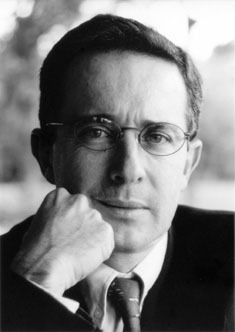 Álvaro Uribe Velez was first elected as President of Colombia in 2002 and then re-elected in 2006, becoming the first re-elected President in Colombia’s modern history. Uribe holds a Degree in Law from the Universidad de Antioquia and a Postgraduate Management Degree from the Harvard Extension School. In 1998, he was awarded the Simón Bolívar Scholarship and was nominated Senior Associate Member at St. Antony’s College in Oxford. Uribe has held several public offices in Colombia; he was the mayor of Medellin in 1982, Senator between 1986 and 1994, and Governor of Antioquia in 1995. After finishing his term as President, Uribe has dedicated his time to sharing his experiences as a professor and guest lecturer at different universities around the world. When my administration began in 2002, many analysts said that Colombia was a failed state. Every year, the country faced thirty-thousand homicides and almost three-thousand kidnappings, and more than three-hundred municipalities lacked the presence of their mayors due threats made against their lives. Investment rates were low, unemployment was climbing, and poverty levels were close to 57 percent. The situation represented a distinct crisis in national confidence. Thousands of Colombians saw no choice but to leave the country indefinitely, and people were continuously feeling hopeless as the brutality of terrorist organizations turned more aggressive. As president, I was elected to face these challenges and to put in place the framework of a communitarian state. For these principles to be applied, the state, the private sector, and society as a whole are required to work in direct coordination toward common objectives. For this reason, we decided to integrate these principles into three main policies, as discussed below. Security for all. Our primary goal was to ensure that all Colombians could count on the protection of their life and liberties from our armed forces in every single region. Only after we ensured that all our citizens felt the state’s protection could we recover trust and confidence in the government. Fighting all forms of crime. Operated with corresponding dedication, we simultaneously aimed to confront all forms of organized crime. From the outset, this effort implied a dismantling of paramilitary groups, guerrilla organizations, and drug cartels. Security without ad hoc legislation. In order to build a credible security policy, we decided against exceptional legislation. Instead, we chose to put together a security framework based on regular legislation, which was kept under close supervision of the judicial system. Security with liberties and human rights. Another pillar of our security policy was to focus on human rights protection and to guarantee the full implementation of individual liberties. Security cannot be effective at the expense of restricting liberties nor without a true commitment to apply the principles of International Humanitarian Law. Tackling this subject was confirmation that our strategy of public order would not tolerate abuses on the part of our security structure. Victims’ recognition. The state security action aimed to place criminals from terrorist organizations under judicial custody, demanding victim reparation and the confession of criminal behaviors. This second policy was based on an organized institutional approach toward private initiative. This second step also requires comprehensive, proactive methodology. Sound macroeconomic principles. Our objective was the reduction of the government fiscal deficit, insurance for a more focalized public spending structure, a new public debt composition with a larger concentration on the local capital markets, inflation targeting, increased tax collections, a recovery of the country investment grade, and the need to undertake unpopular but necessary structural reforms. Competitiveness. Improving Colombia’s infrastructure with public private partnerships and modern concession frameworks lay at the essence of our transformation in the transportation sector. At the same time, we worked tirelessly for simplified regulatory legislation that positioned Colombia as a viable competitor on the world stage: connectivity penetration, modernization of the logistics chain, and creating a legal stability apparatus to bring long-term investment in strategic sectors like mining, oil and gas, and the agro industry. Access to markets. For our administration, opening new markets for the Colombian products became a strategic pillar. Previous strategies focused on unilateral trade liberalization, which resulted in a rapid inflow of foreign products without the right channel for our products to reach new opportunities. Our strategy evolved into the negotiations on free trade treaties with close trade partners and put in place investment and double taxation pacts with a variety of key economic global players. Education revolution. An education system with an emphasis on quality instruction, combining professional, vocational, and entrepreneurial training that allows students to have the right skills for the labor market. Health for all. We strove to achieve universal health care coverage for the less privileged through beneficiary targeting policies, particularly the expansion of middle class health benefits through the compulsory health program that ensures quality and coverage from health providers and more hands-on quality supervision from government authorities. Expanding the access to finance. The essence of our actions was to stimulate microfinance, creating a new low-income financial access method that we denominated Banca de las Oportunidades. This organization called for cooperation among non-banking correspondents, large financial corporations, and nongovernmental organizations, and impelled the financial sector to downscale and tailor financial products for the neediest. Closing the technology gaps. Expanding broadband and connectivity technologies was the cornerstone of our telecommunication sector endeavors. These targets were met through the National Connectivity Agenda, which focused on rural areas and low-income populations. The conceptual structure defined in the three main policies of our administration became the soul of our National Development Plans during the periods of 2002 to 2006 and 2006 to 2010. With the inclusion of more technical indicators, the government began a detailed, results-oriented, management oversight execution. Incremental compromise — which demands the government and its officials continuously improve the way it serves the people. Policy congruence — which demands that every action is linked to an objective. Leadership consistency — which demands to lead by example and always, always take responsibility for government action. Genuine caring — which requires a genuine and perennial interest in the people and their problems. In the implementation of our government strategy there are some interesting examples that illustrate some of the tactical lessons. In order to apply the values that we so strongly believed in, we decided to organize an open town hall session in a different municipality every single Saturday of my administration. The intention was to listen to and to dialogue with the people. That simple exercise, which we dubbed “Democratic Councils,” became the most important way of letting the common citizen participate in and directly face the government. For many decades the state dialogued with terrorist groups seeking peace but never dialogued with ordinary citizens. We gave the citizens the right to demand state action and the right to be heard. As a result, public support became an engine of governance; instead of touting a populist agenda, we only committed to actions on which we could deliver. We created a result-based methodology to follow up on government pledges with the support of the Inter-American Development Bank. The Democratic Councils validated our philosophy that public participation is an essential element of a modern democracy. Another example is the need to have an administration that combines a macro vision with detailed execution. For a country with the myriad problems that Colombia faced when I took office, it was essential to give the general public a national vision. But most importantly, it required that the head of the administration be profoundly engaged in the conducting of daily activities. Such a commitment required discipline and determination, but once I as president and my cabinet put in place a results-based management culture, the public’s faith in our true commitment to address their challenges was restored. I was personally criticized of being too involved in all the details of my administration, but if, in times of crisis, a leader does not combine vision with a profound understanding of the national agenda, people will immediately perceive disengagement. The application of this principle was essential to building a strong relationship based on common understanding with the private sector and all its agremiations. They always found an administration that understood their problems, their statistics, and their risks and that was always committed to finding solutions. The final example that I want to share has to do with the role that a civilian commander in chief has to play in a democratic society. As president I had the privilege of witnessing the bravery of young soldiers who dedicate their lives to defend freedom, and who, day after day, give us the opportunity to experience a stronger democracy. In a world where our nation is praised internationally, I must recognize that the personal engagement of the presidency, motivating the troops and taking responsibility in times of crisis, is pivotal to give our soldiers and policemen the inspiration and commitment to achieve results. Another important role of the commander in chief is as a mediator between military forces and civilians. In order to create the right checks and balances for the operation of military forces, the government must be able to allow public scrutiny. That is why we permanently organized security councils where our officials shared their presentations (always full of impressive success graphics) with the public in order to confront facts and perceptions. That example created a bond between the population and security forces and contributed to the trust that Colombian citizens have in their armed forces today. I strongly believe that a vibrant democracy requires security, freedom, social cohesion, independent institutions, and public participation. During 2002 to 2010, Colombia experienced a silent transformation turning into a fertile ground for investors, entrepreneurs, intellectuals, artists, tourists, and many others, thanks to the consolidation and implementation of these values. We are a nation that believes in and applies the values of liberal democracy, free market, and liberty as the essence of progress. Instead of crisis, our nation is finally faced with great opportunity, and the Colombian people are committed to continue to work hard to guide the new generations through a blooming path of hope and opportunity. I’m often criticized for raising my voice and remaining in the public discussion arena. Some suggest that I should retire and follow the example of other former presidents who silently take a seat in the crowd. It took a monumental sacrifice on behalf of our entire nation to leave the vicious cycle of chaos and hopelessness to build a new destiny. My duty as a citizen is to fight every day, hand in hand with my fellow Colombians, to prevent the return of terror and distrust. I have chosen to undertake this task by creating a nonprofit university to form new leaders; supporting a new generation of civil servants to reach local and national office in defense of the communitarian state, and continuing the constant dialogue with members of all our communities. The role of a man that has been honored by the people to reach high office must always be to serve democracy, without any privilege different than the right to defend its ideals.